A recent decision by the US Supreme Court that is changing how states collect sales tax potentially has big implications for the art trade. And with collectors from across the country flocking to Florida for Art Basel in Miami Beach (ABMB) and its myriad satellite fairs, the new and untested tax laws could catch galleries unaware or unprepared. “Frankly, I cannot remember a previous [tax] change that has created so much anxiety in the small business community at large,” says Andrew Schoelkopf, co-founder of the gallery Menconi + Schoelkopf and the president of the Art Dealers Association of America, which issued a bulletin outlining best practice for its members just days ahead of the fair. Sales tax is usually applied based on the state in which the buyer takes ownership of the work; previously, sellers were only required to collect or pay sales tax if they had a physical presence in a state. 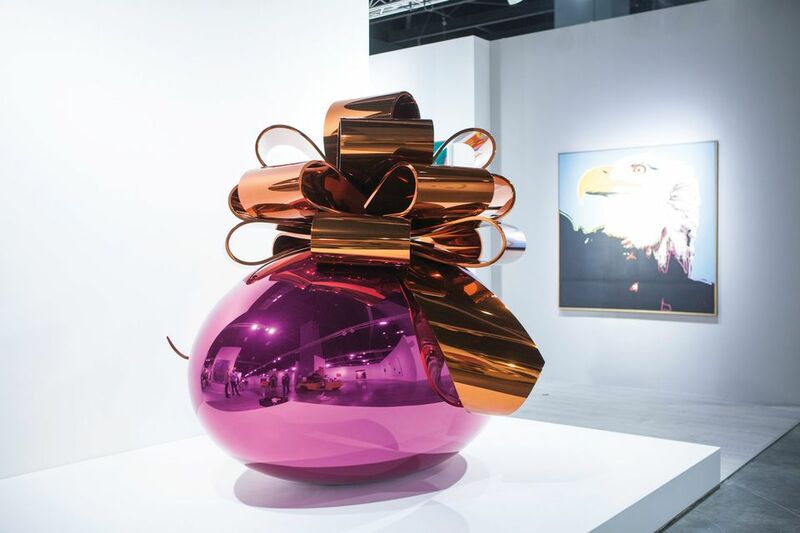 So, for example, if a collector in Dallas bought a sculpture by Jeff Koons from a Miami-based gallery, the work could be shipped to Dallas via a common carrier—such as US mail, UPS or FedEx—without the dealer having to worry about Texas local and state sales tax (although the collector would). In June, however, the Supreme Court ruled in favour of the state of South Dakota in its case against the online retail giant Wayfair, forcing sellers to charge sales tax on out-of-state purchases and therefore shifting the responsibility on to the dealer. States are also expected to take a more active approach in pursuing this revenue. The need to assess sales tax is now dictated by what is known as an “economic nexus”, meaning that if a vendor’s sales reach a certain threshold (which varies by state), then it has enough of an economic presence there to justify the need to pay taxes. What could prove most problematic for dealers is that many states define the nexus differently. For example, sales in excess of $1m in Texas require the vendor to pay state tax, but in Illinois, the figure is just $100,000. In many cases, the sale of a single work of art could meet the threshold. Of the 45 states that currently impose a general sales tax, 39 have either enacted or proposed such nexus rules since June. Florida, which has yet to announce one, boasts an average state and local tax rate lower than many other commercial, art-dense states (the non-profit Tax Foundation reports an average rate in 2018 of 6.8%, compared with New York and California’s 8.5%)—something that has made it an attractive marketplace and contributed to its robust art-fair industry. As collectors flood in from other states that already have new protocols in place, dealers exhibiting in Miami may have to consider the sales tax rate in the state to which the work will be shipped if the buyer does not walk out of the fair with it. Amid the confusion over state-by-state tax rules, the cost of compliance will fall most heavily on smaller galleries that “do not have an infrastructure in place or access to tax experts to [help them navigate] the new rules”, Schoelkopf says. Dimin agrees, noting that the tax hurdles are daunting for younger galleries that may make an unknowing misstep. “Unlike Gagosian, we can't just drop six or seven figures to lawyers and the government to right a wrong,” he says.